ONI Bureau: The Cuttack district administration has announced closure of all Government and Private Schools and Colleges in the city in view of the heavy rainfall and water logging situation in the region. Several areas of Cuttack district marooned in heavy rainfall. 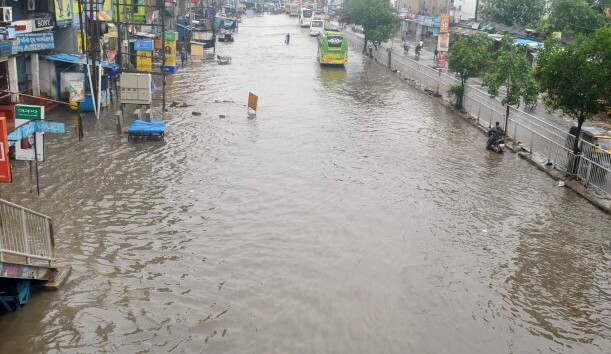 Incessant rain in last 24 hours due to low pressure over North-west Bay of Bengal, caused water logging in different parts of the Twin City throwing life out of gear. BMC deployed 13 teams in 67 wards and opened 24-hour control room to deal with water-logging menace following incessant rains in Bhubaneswar. People can call on with helpline number (toll free number- 0674 2432281 and 1800 345006) to meet emergency.